The first fiberglass pool I installed was a San Juan model in ’02. We have been a dealer with them ever since then. They have always stood behind their product for us, and we have not had any issues with them. So what are Fiberglass Pools? Very simply fiberglass pools are a complete one piece unit. They are manufactured in a controlled factory setting, being built on a preformed mold. They are made using fiberglass material for the shell, with a gelcoat finish on the interior of the pool that is 30-32 millimeters thick. The following paragraphs explain the materials and process that San Juan uses to build their pools. We also have our new Iridium colored finishes. This is a solid surface material consisting of oven cured colored chips in a clear UV and chemical resistant clear resin. This surface finish is backed up by a color matched gelcoat that acts as a barrier coat as well as a primer for the fiberglass. Click here to see designer colors. how are fiberglass pools installed at your house? The installation process is fairly simple. This is where having your pool built in a controlled environment comes into play. 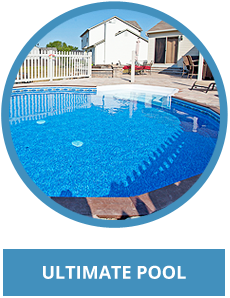 The typical fiberglass pool can be set, backfilled, and full of water, ready for the decking around the pool to be placed in 2 to 3 days. This is the advantage of fiberglass over concrete or vinyl liner inground pools. Once the excavation of the hole is done, the base for the pool to set on is placed. Fiberglass pools have traditionally used sand for this. In the last few years some builders have started using a crushed gravel that is 3/8 of an inch or smaller. We have switched over to using the gravel in our installations. Using sand never really made sense to me because you have to wash it into place with water. At the same time you do not want water building up around the outside of the pool, so you have to pump the excess water out. Once the pool shell is set and level, it is backfilled completely, while water is added to fill the pool at the same time. With using gravel for backfill you get an almost 100 percent compaction rate compared to using sand, without using all the water to wash sand into place. You can read a great article (click here) by friends of ours at River Pools and Spas in Virginia, about the comparison between sand and gravel backfill. Having a system in place to remove ground water, is a very important step in fiberglass pool installation. You might have heard the myth, “a fiberglass pool will pop out of the ground”. Very true……for any type of swimming pool. 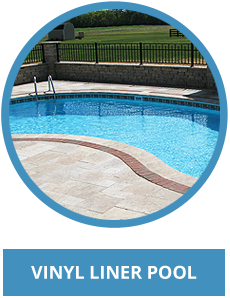 Concrete pools, vinyl liner pools, and fiberglass can all pop out of the ground. There has to be a system in place to deal with the effects of ground water for every type of pool installation. We install sump systems on every inground pool we install, whether a vinyl liner or a fiberglass. Are Fiberglass Pools worth the cost? When comparing costs between fiberglass, vinyl liner, and concrete pools, fiberglass will always be near the top of the list cost wise. Concrete and fiberglass will be comparable in price, with vinyl being the least expensive. 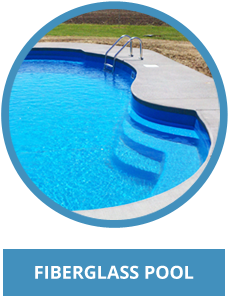 Fiberglass is considered a permanent pool, along with concrete, while vinyl is not. The big reason that fiberglass pools cost more is that they are manufactured in a controlled environment. 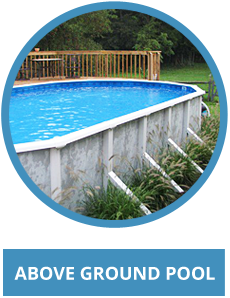 Unlike a concrete or vinyl liner pool that is completely built on site, a fiberglass pool comes already assembled. We install both vinyl liner and fiberglass. Whenever a customer wants pricing on both, the vinyl will always be cheaper. When you look at the price, you should take into consideration two things. The initial upfront cost, and the long term cost. Even though a vinyl pool is cheaper upfront, in the long term you will spend as much on a vinyl, as the upfront costs on a fiberglass. Concrete pools have to be acid washed and resurfaced. Vinyl pools will require liner changes. With a fiberglass pool you have none of this. You will spend less money over the long term on fiberglass, than vinyl or concrete. So is a fiberglass worth the cost? That is a choice that you have to make for yourself, and decide whether that the upfront cost is worth it. Fiberglass pools have exploded in popularity in recent years. A lot of this is due to the fact that all manufactures now offer color finishes. Ten years ago all you could get was white, or light blue finishes on the gel coat finish. You could put up the argument that they looked cheap. I would have had to agree with you. With the color finishes today, no more. Here is a quick list of the pros and cons of fiberglass pools.